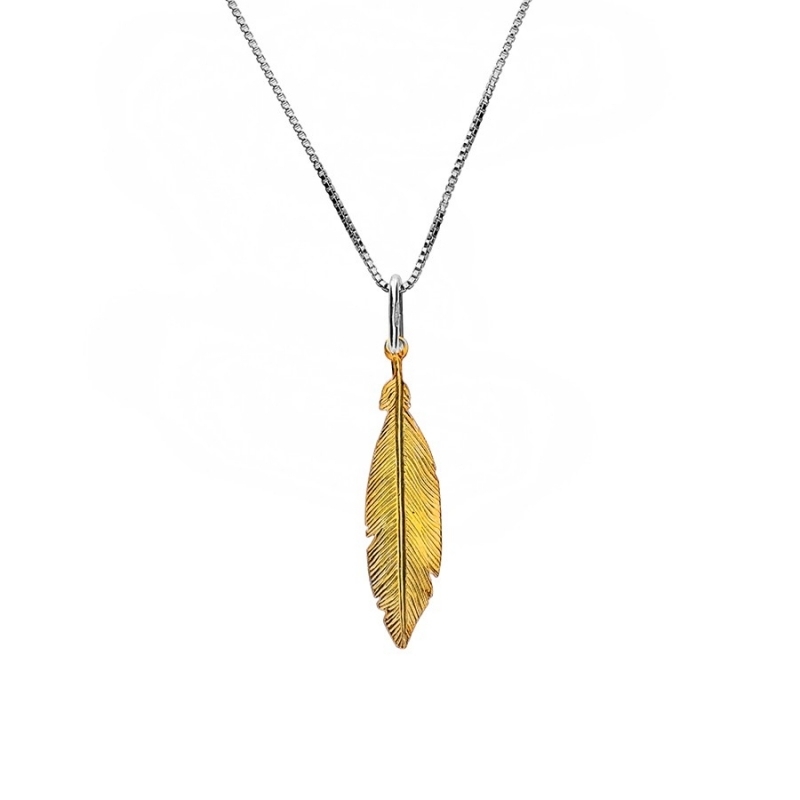 Azendi Yellow Gold Plated Small Feather Pendant. An exquisitely detailed and delicate sterling silver and yellow gold plated feather dangles from a silver hoop and chain. As Part of the Spirited Away collection, this piece is designed to glimmer as it softly moves.